Simon Says is a children game where ‘Simon’ gives directions and then judges the players whether they have followed the directions or not. The players must complete the action if the sentence begins with ‘Simon Says…” and must remain still if just an instruction is given. 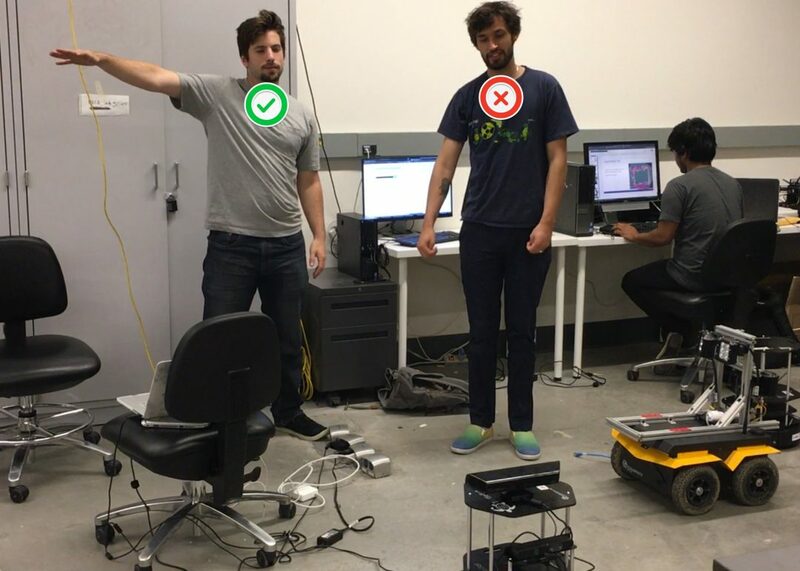 We used a TurtleBot for the robot aspect, Robot Operating System (ROS) to interface with the robot, and a Kinect v1 for vision to analyze the players movements. We used several libraries to gather skeletal data from the players, and then analyzed the joint positions of the players to assess whether they followed Simon’s instruction. Team Testing the Simon Says game! Turtlebot with ROS Indigo installed in laptop. 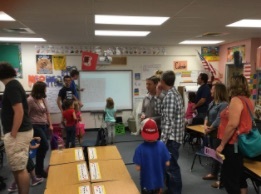 During an outreach event at Mitchell Math and Science Night, I brought the system along with other projects created by the Mines Robotics club and Mines ACM members. With these projects, the volunteer members and I facilitated 3 interactive demonstrations & activities (Simon Says, Maze Solving with Robot, and Challenging the Computer to find the shortest path). We had lots of fun and answered so many interesting questions that the kids and even their parents had. Back to software integration, we utilized ROS’ tf package to keep track of various coordinate frames over time. Taking advantage of ROS publisher-subscriber model, we created a publisher that send the Kinect data and a tf listener to process the frame transformations. The skeletal data was used to generate distances and angles between different joints, such as shoulders, hands and head. After the relationships between the joints were defined, the action of the player could be determined. For example, if both hands are higher than the head, the action would be interpreted as arms up. Open terminal and do an apt-cache search of libopenni and install both the -dev and 0 libraries. Clone openni_camera and openni_launch from Github into your catkin_ws/src and catkin_make in the workspace folder. Now you should be able to successfully launch OpenNI and listen to all the outputs of the Kinect! You may need to run camera calibration scripts to get ride of edge distortions and the like, but the camera should be all set to go. Then connect the kinect sensor, and run the openni_launch file. We hope to collect more Kinect data and skeleton-based representations to have better classification using Support Vector Machine. Running the SVM models with what we had, we got pretty low accuracy of ~63 %. 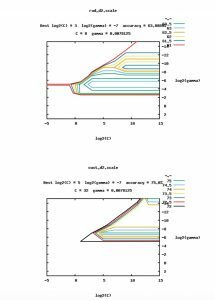 These graphs below were generated using Libsvm.